SolarFest’s Board of Trustees is a dedicated group of individuals that possess a diverse background in a variety of areas critical to the success of the organization. Each member brings their own unique experience in sustainability, renewable energy, education, thriving communities, festival management, marketing, construction, business management, finance, land use, gardening, farming, the arts, music, event production and a wealth of other lifetime experiences. Four years ago, when he was still making custom furniture, Bill and his wife, Lisa, installed a 9.5 kW system on his workshop in Dorset. Soon thereafter, they bought an electric vehicle and began Grassroots Solar. Attending SolarFest since its earliest days, Bill offers a wealth of knowledge of the intricacies of designing and installing a system. He is a NABCEP Certified PV Installation Professional. John founded Central Vermont Solar & Wind and is now is the guru behind Rob Stubbins Solar in Rutland, VT. He is responsible for design and installation of over 300 renewable energy systems throughout Vermont and neighboring states. He has been involved with SolarFest since the early days at Daisy Hollow and has been head of the Power Committee since 2004. 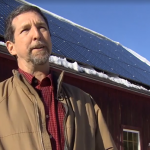 After working at NRG Systems, immersed in the wind power industry, John started Central Vermont Solar & Wind in 1996, the same year as the first SolarFest. Mike become involved with SolarFest in 2014 after all the heavy lifting was done! He brings a marketers perspective to the festival, finding new ways to bring people together, to encourage adoption of sustainable energy, and to help sustainable energy reach its tipping point. For fun, he’s focused on development of the game-changing technologies and systems that are making zero-emission transportation a reality and an incredible force to create broad-based new economic opportunities. 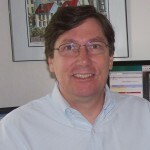 Dave has worked in the energy conservation field since 1985 and is presently a project manager who co-owns a consulting company. He went to his first SolarFest in 2003 at Green Mountain College in Poultney, VT and was hooked. For most years since, Dave has attended and been a steady volunteer, working security, parking, set-up or any other area where help is needed. Dave enjoys fixing just about anything he can find in his house or garage. He also enjoys long distance biking, hiking and most any activity that gets him outdoors with an elevated heart rate. Kevin’s interest in solar energy began while still a student volunteering at SolarFest. Now he owns High Peaks Solar, where he is the Lead System Designer, and was an adjunct professor at HVCC responsible for training the next generation of certified solar installers. Kevin also founded The Sky Is Not Limited, a non-profit organization that provides drinking water infrastructure to impoverished nations. Begun in 2010, today the “well project” he built provides fresh, bacteria-free drinking water for an entire village in remote Tanzania, Africa. While serving as pastor to several inner-city and rural churches, Steve has been tirelessly involved in humanitarian, social, and environmental activism. An outspoken critic of the Iraq War and predatory neoliberal economic policy, in 2013 he was instrumental in pushing the Vermont General Assembly to become the first state to adopt a resolution to reverse Citizen’s United. This success prompted his decision to seek office as a Vermont Representative in Bennington, District 4. 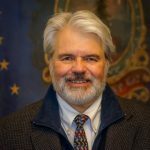 In Montpelier Steve was soon regarded as a moral compass in the Vermont House of Representatives where he emphasized funding weatherization, the Vermont Veteran’s Home, and Let’s Grow Kids. His focus on supporting efforts to create a healthy environment, healthy citizens, a healthy economy and a healthy democracy led him to serve on the SolarFest board. 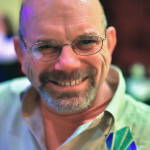 Steve has a varied resume as an author, filmmaker, chaplain (LAPD), preacher, teacher and organizer. He has received numerous awards for community leadership including the United Nations Associations’ Ralph Bunche Peace Award.